Autumn's the perfect excuse to visit one of the UK's exquisite national parks so here's a few tips on taking photos in the Lake District. 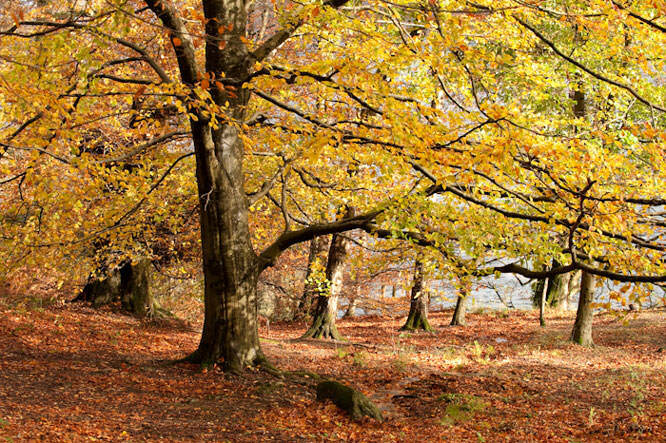 Ask most landscape photographers what their favourite season is, and probably 80% will reply "autumn". I actually try not to have a favourite, because it keeps me fresh for all the different seasons, but even I can't deny that the Lakes in autumn can be a truly spectacular place. 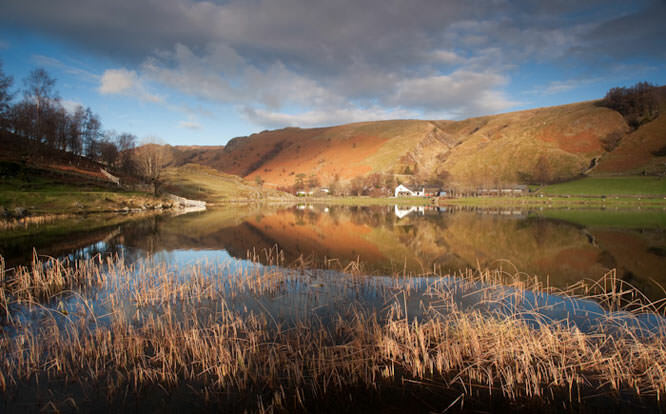 An important issue to remember is that the lakes can also be a truly WET place through October and November as well, so consideration of the weather must be taken into account. Equipment needed is totally down to personal style, anything from a compact, through to DSLRs with wide-angle lenses, telephotos, macros etc. will all give excellent results. I do find a polarising filter useful to take reflection off leaves / bracken and give a boost to the colours; but be careful not to overdo it. If I'm working in the early part of Autumn, I quite often like to work with a wide lens to make a strong feature of foreground bracken, especially when it's showing a wide colour range, from green, through to red. This will even make a good semi close-up picture just concentrating on the bracken itself. Later in the season, when the colours have changed, if I'm really lucky a calm day can, with the help of the reflections, offer twice as much landscape in a single shot; with the landscape reflected perfectly in the water. On all my reflection shots, I use a 0.45 hard-edge ND grad filter, to balance up the amount of light absorbed by the reflection. Also remember, that lower viewpoints often give better reflections. In addition, if there is any foreground element, a low viewpoint will usually reduce the distance between the foreground element and the bottom edge of the reflection. 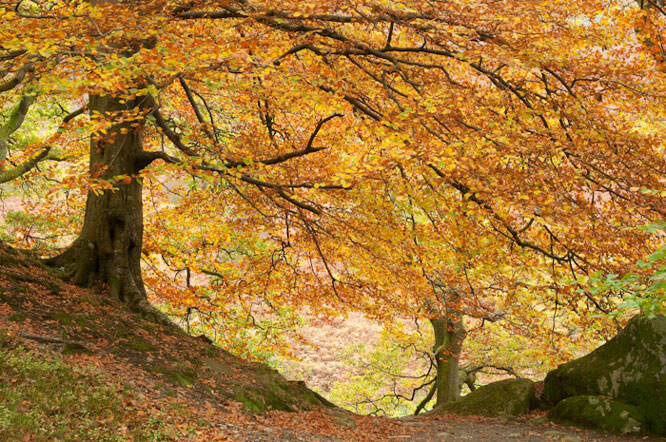 Woodlands clearly become a favourite subject through the autumn weeks, but as well as general vistas, individual branches can show off the shapes of leaves well. Even once the leaves have fallen, there are great pictures to be had of leaf details and textures on the ground, or contrasted on a mossy bank or rock. If the weather is inclement, consider taking a few leaves home and photographing them backlit on a lightbox. The type of tree and altitude has a great bearing on when they change colour, with Silver birches tending to be the early changers, and larch (the only conifer to drop its needles) then oak bringing up the rear. The range of subjects through the autumn in the lakes is incredible, certainly covering most of October and November. Even when the trees have lost their leaves, the glow of the bracken retains the fantastic hues of autumn, almost right through to spring the following year.